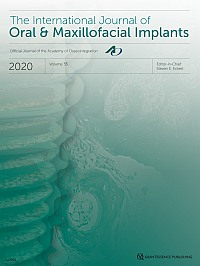 The International Journal of Oral & Maxillofacial Implants continues its traditionof publishing timely, original articles on implant-related research and patient care. 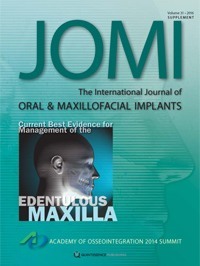 Internationally recognized for its high editorial and scientific standards, JOMI presents pioneering research, seminal studies, emerging technology, position papers, and consensus reports, as well as the many clinical and therapeutic innovations that result from these efforts. 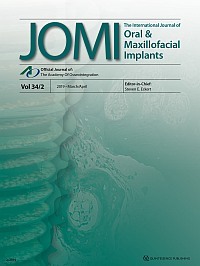 The editorial board is composed of recognized opinion leaders in their respective areas of expertise and reflects the international reach of the journal. 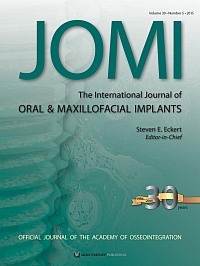 Under their leadership, JOMI maintains its sound scientific integrity while expanding its influence within the field of implant dentistry.